It’s now 2019 and New Year’s Day has come and gone. It’s tradition to set resolutions for yourself, usually something along the lines of going to the gym more, eating healthier and the like. While you were making these resolutions for yourself, did you happen to make any for your business, or did you forget? Even though January is almost over, it’s not too late to make some bold resolutions for your organization. 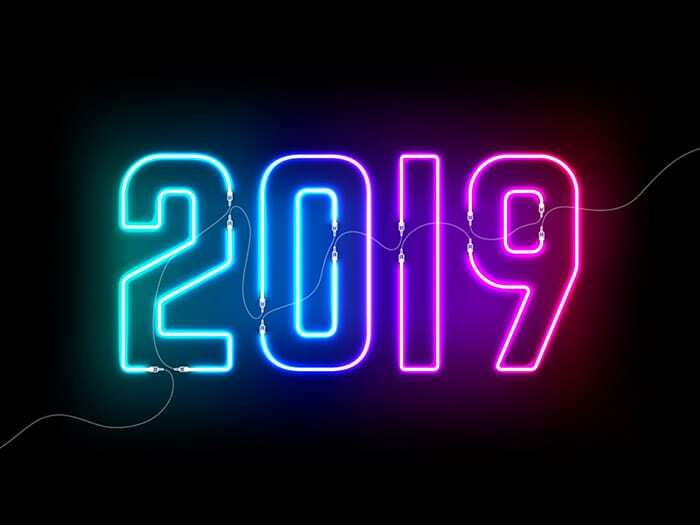 Most importantly, it’s not too late to set some marketing and advertising goals for 2019. We’ve outlined three important marketing resolutions you need to make now for your business in order to help drive success in the year ahead. Alright, we know this phrase is slightly overused, but it really does apply here, especially when it comes to your website. How many times have you heard that first impressions matter? The appearance of your website is a direct reflection of your business. Your goal should be to position yourself and your company as an authority in your field. First impressions are vital to portraying this vision, so it is critical that you revamp your website regularly to stay on top of the latest design trends. Likewise, if your site appears outdated and poorly structured, visitors may get the impression that your business operates the same way. Your website should highlight your products or services in a positive light that encourages visitors to explore more, and then ideally convert into a new customer. We also have to mention how important it is to optimize your website for mobile. Did you know that Google now ranks websites based first how they’re displayed on mobile devices? This should not come as a surprise. According to Statista, in 2018, 62% of users accessed the internet using their mobile phones. By 2020, the number of smartphone users is projected to reach 2.87 billion. In November 2018, Statisa measured that mobile devices accounted for 48.2% of website traffic worldwide (excluding tablets). We could go on and on, but we think you’ve grasped the reasoning as to why mobile optimization is so important. Digital advertising has grown steadily over the last two decades with no signs of slowing. As consumers shift to mobile, brands have digitally migrated, and so should yours. Currently, over 80% of all digital display ad spending in the U.S. is programmatic, and those numbers are expected to increase. Advances in machine learning and smart algorithms have proven far more reliable than humans in determining ideal timing and location to reach a desired audience. Where the focus used to be on manually buying ad space on websites that generally attracted the same audience as your product, programmatic allows your organization to target using an individual’s digital behavior and ultimately place an ad in front of the eyes where they are most likely to engage, in real time. There is tremendous opportunity in programmatic to engage consumers digitally, and leveraging changes in programmatic is one of the smartest, safest and most effective ways to reach them. If you think programmatic advertising is best left to your internal marketing department, think again. Reaching consumers digitally has never been more important, or more challenging. That’s why partnering with a digital agency (like Liquified Creative) to manage your programmatic marketing efforts is a great resolution to set for your business in 2019. One of the major components of digital marketing is building a social media following and engaging with the audience. Did you slack on your audience engagement this year? If so, this is the perfect time to refresh your social media strategy. Social media has evolved into a now necessary promotional and engagement tool for businesses. Whether you have a full-time social media manager or tackle social media as a part of a larger effort, the old ways of doing social won’t work in 2019. As social networks innovate, businesses need to innovate their use of these networks as well. With mass amount of consumers and businesses hopping on social, it’s not enough to have a social media presence – you have to be strategic about how you present your organization. One of the biggest trends on social media in 2018 which is set to grow exponentially in 2019 is the use of visuals, particularly video on LinkedIn, Facebook, and Twitter. Bottom line: increase your budget. If you don’t have the time to manage social in house, hire a digital marketing firm (again…like Liquified) to manage your content, strategy, and engagement. Not only this but consider increasing your budget for social marketing. Organic reach is going to be harder and harder to come by in 2019. Put aside more money to make-up the difference with paid results. It’s not too late to step up your marketing game in 2019. Start to build a bigger and better marketing plan for your business while keeping in mind industry trends, data insights, and most importantly applying a creative outlook. Need some help? Don’t be afraid to reach out to Liquified Creative for any and all of your digital marketing, advertising, branding, or website needs (the list goes on and on).